Shots of the Camera have now become available. 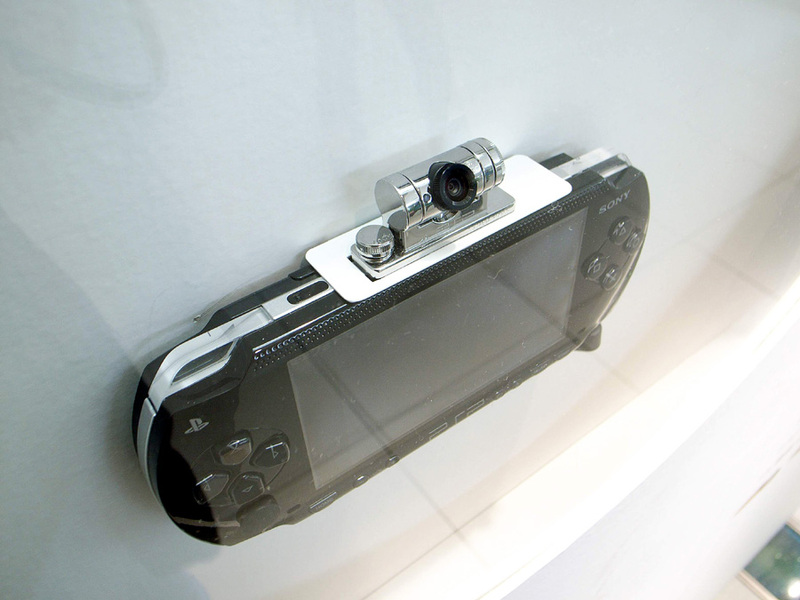 A SCEJ press event in Tokyo revealed more information about two much-awaited devices for the PSP to further expand its capabilities. Judging from the photos, the camera sits above the USB port much like the already released USB microphone, and same goes for the GPS device. 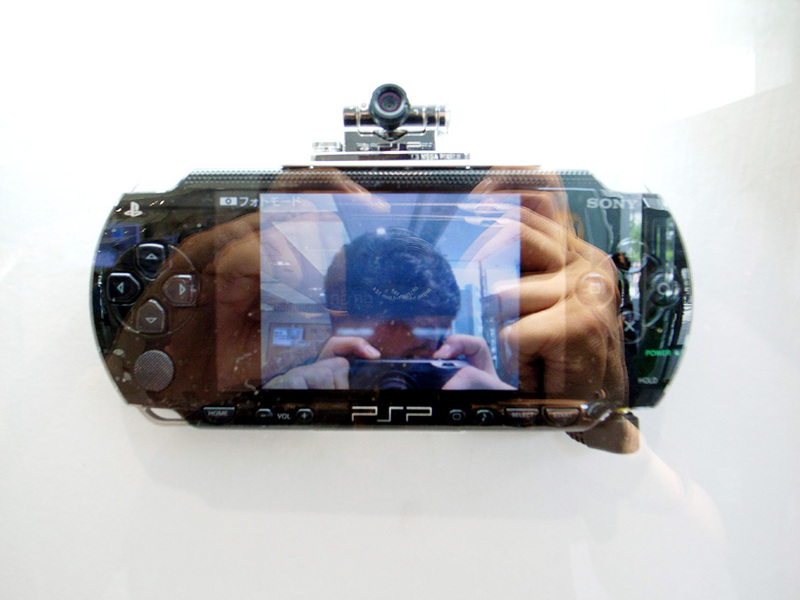 The camera can be turned vertically to take pictures from both the front and back of the PSP, similar to the current 3G cell phones available, however, the resolution is probably going to be much higher. Also at the event was the GPS reciever, although it was not functioning. The exact details of the GPS device has not been revealed by Sony thus far. so would there be an estimated street date for the cam at all?